CLINICAL RESOURCE CENTER Access the program syllabus and additional resources by scanning the image on the left. If you do not have a QR Code Reader on your mobile device, visit getscanlife.com for a free download. As a continuing medical education provider accredited by the Accreditation Council for Continuing Medical Education (ACCME), it is the policy of pmiCME to require any individual in a position to inﬂuence educational content to disclose the existence of any ﬁnancial interest or other personal relationship with the manufacturer(s) of any commercial product(s). The presenting faculty reported the following: Michael J. Brennan, MD, is a member of the Advisory Boards for Insys Therapeutics Inc., Mallinckrodt Pharmaceuticals, Purdue Pharma L.P., Teva Pharmaceuticals Industries Ltd., and Zogenix, Inc. Jeffrey A. Gudin, MD, is a member of the Speakers’ Bureau for Depomed, Inc., Iroko Pharmaceuticals, Purdue Pharma, LP, Salix Pharmaceuticals, and Xenoport; he is also a consultant for Alere, Insys Therapeutics Inc., Nektar, Pﬁzer, Inc., Teva Pharmaceutical Industries Ltd., and Zogenix, Inc. Bill H. McCarberg, MD, is a member of the Advisory Boards for AstraZeneca Pharmaceuticals LP, Collegium Pharmaceutical, Inc., Depomed, Inc., Inspirion Pharmaceuticals, LLC, Iroko Pharmaceuticals, LLC, Janssen Pharmaceuticals, Inc., Kaléo, Inc., Mallinckrodt Pharmaceuticals, Millennium Laboratories, LLC, Pﬁzer Inc., Salix Pharmaceuticals, Inc., Takeda Pharmaceuticals U.S.A., Inc., and Zogenix, Inc.; he is also a stockholder of BioSpeciﬁcs Technologies Corp, Galena Biopharma, Inc., Johnson & Johnson, Nektar Therapeutics, and Protein Design Labs, Inc.
OFF-LABEL/INVESTIGATIONAL DISCLOSURES In accordance with pmiCME policy, faculty members have been asked to disclose discussion of unlabeled or unapproved use(s) of drugs or devices during the course of their presentations. ACCREDITATION STATEMENT pmiCME is accredited by the Accreditation Council for Continuing Medical Education to provide continuing medical education for physicians. DESIGNATION STATEMENT pmiCME designates this educational activity for a maximum of 1.25 AMA PRA Category 1 Credits™. Physicians should only claim credit commensurate with the extent of their participation in the activity. This activity is supported by an educational grant from Teva CNS and Endo Pharmaceuticals. pmiCME Clinical Staff and University of Wisconsin School of Medicine and Tufts Health Care Institute Expert Reviewer Financial Disclosure As a continuing medical education provider accredited by the ACCME, it is the policy of pmiCME to require any individual in a position to inﬂuence educational content to disclose the existence of any ﬁnancial interest or other personal relationship with the manufacturer(s) of any commercial product(s). pmiCME clinical staff and University of Wisconsin School of Medicine and Tufts Health Care Institute expert content reviewers have provided ﬁnancial disclosure and have no conﬂicts of interest to resolve for each of the sessions related to this activity. pmiCME Medical Advisory Board Financial Disclosure George Mejicano, MD, has nothing to disclose. Victor Diaz, MD, has nothing to disclose. Stephen Goldﬁnger, MD, has nothing to disclose. Michael Bloch, MD, is a member of the Speakers Bureaus for AstraZeneca Pharmaceuticals LP, Novartis Pharmaceuticals Corporation, Pﬁzer Inc., and sanoﬁ-aventis US; he also receives research support from AstraZeneca Pharmaceuticals LP and Novartis Pharmaceuticals Corporation. Zorba Paster, MD, is a member of the Speakers Bureaus for Pﬁzer Inc. and Endo Pharmaceuticals Inc.; he also receives research support from Pﬁzer Inc., TAP Pharmaceutical Products Inc., Aventis, and Endo Pharmaceuticals Inc.
CE CERTIFICATE PROCESS 1. Please locate the evaluation form for this activity. 2. Put your name and badge number on page 1 of the form. 3. Designate the type of credit you seek and sign. Please do not ﬁll out more than one certiﬁcation statement. 4. Please be sure to ﬁll out the amount of credit you are claiming within the certiﬁcation statement and complete the evaluation section on side 2 of this form. 5. Before you leave the activity, please hand in your evaluation form to a Pri-Med staff member at the registration table. Time-stamped evaluation forms will be accepted by mail if postmarked within ﬁve (5) business days of the activity’s completion. Unfortunately, we cannot accept evaluation forms by fax. 6. Within 4 weeks following the program, certiﬁcates will be posted online to Pri-Med Member Account holders at www.pri-med.com (log in to your account and visit the CME Tracker to print out a copy of your certiﬁcate). 7. If you have questions about, or corrections to, your certiﬁcate after you have downloaded it, please call: 1-877-4PRIMED. ► Michael J. Brennan, MD, is a member of the Advisory Boards for Insys Therapeutics Inc., Mallinckrodt Pharmaceuticals, Purdue Pharma L.P., Teva Pharmaceuticals Industries Ltd., and Zogenix, Inc. ► Jeffrey A. Gudin, MD, is a member of the Speakers’ Bureau for Depomed, Inc., Iroko Pharmaceuticals, Purdue Pharma, LP, Salix Pharmaceuticals, and Xenoport; he is also a consultant for Alere, Insys Therapeutics Inc., Nektar, Pfizer, Inc., Teva Pharmaceutical Industries Ltd., and Zogenix, Inc. ► Bill H. McCarberg, MD, is a member of the Advisory Boards for AstraZeneca Pharmaceuticals LP, Collegium Pharmaceutical, Inc., Depomed, Inc., Inspirion Pharmaceuticals, LLC, Iroko Pharmaceuticals, LLC, Janssen Pharmaceuticals, Inc., Kaléo, Inc., Mallinckrodt Pharmaceuticals, Millennium Laboratories, LLC, Pfizer Inc., Salix Pharmaceuticals, Inc., Takeda Pharmaceuticals U.S.A., Inc., and Zogenix, Inc.; he is also a stockholder of BioSpecifics Technologies Corp, Galena Biopharma, Inc., Johnson & Johnson, Nektar Therapeutics, and Protein Design Labs, Inc.
Presenter Disclosure Information Off-Label/Investigational Discussion ►In accordance with pmiCME policy, faculty have been asked to disclose discussion of unlabeled or unapproved use(s) of drugs or devices during the course of their presentations. CNS, central nervous system. Fine PG, Portenoy RK. A Clinical Guide to Opioid Analgesia. 2nd ed. New York, NY: Vendome Group, LLC; 2007.
prevalence of doctor-diagnosed arthritis in the US by age. Institute of Medicine. Relieving Pain in America: A Blueprint for Transforming Prevention, Care, Education, and Research. Washington, DC: The National Academies Press; 2011; Hootman JM, Helmick CG. Arthritis Rheum. 22006;54(1):226-229. Based on data from the US Drug Enforcement Administration. Manchikanti L, Singh A. Pain Physician. 2008;11(suppl 2):S63-S88. Admissions for opioids other than heroin rose from 2% in 2002 to 10% in 2012 SAMSHA. Treatment Episode Data Set (TEDS): 2002-2012. National Admissions to Substance Abuse Treatment Services. BHSIS Series S-71; HHS Publication No. (SMA) 14-4850. Rockville, MD: Substance Abuse and Mental Health Services Administration, 2014. Source of most recent pain reliever used nonmedically in the past 12 months among persons ≥12 years old. aOther includes got prescriptions from >1 doctor; wrote a fake prescription; bought on Internet; stole from a health facility; and got in some other way. Office of Applied Studies, Substance Abuse and Mental Health Services Administration. NSDUH Report: How Young Adults Obtain Prescription Pain Relievers for Nonmedical Use. Rockville, MD: 39;2006. Year aOpioid analgesics include natural and semi-synthetic opioid analgesics (eg, morphine, hydrocodone, and oxycodone) and synthetic opioid analgesics (eg, methadone and fentanyl). bSome deaths for which drug was poorly specified or unspecified may have involved opioid analgesics. Warner M, et al. Drug Poisoning Deaths in the United States, 1980-2008. NCHS Data Brief No. 81: 2011. You consider adding an opioid to his pain management regimen A1c, glycated hemoglobin; BMI, body mass index; ER, extended-release; T2DM, type 2 diabetes. Smart KM, et al. Clin J Pain. 2011;27:655-663. Fine PG, Portenoy RK. A Clinical Guide to Opioid Analgesia. 2nd ed. New York, NY: Vendome Group, LLC; 2007; Manchikanti L, Singh A. Pain Physician. 2008;11(suppl 2):S63-S88; Webster LR, et al. Pain Med. 2011;12(suppl 2):S26-S35. Review With Patient PQRST, palliative or precipitating factors, quality of pain, region of radiation of pain, severity, temporal nature of pain; QoL, quality of life. Brunton S. J Fam Pract. 2004;53(suppl 10):S3-S10; National Pharmaceutical Council, Joint Commission on Accreditation of Healthcare Organizations. Pain: Current Understanding of Assessment, Management, and Treatments. 2001; Slaughter A, et al. Am J Nurs. 2002;102(5):75-77. APS/AAPM Guideline Recommendation Consider a COT trial if chronic pain is moderate or severe, pain adversely affects function or quality of life, and potential benefits outweigh or are likely to outweigh potential harms 1.Do other treatments have more favorable risk-benefit ratios than opioids? 2.Are there relatively high risks related to opioid pharmacology? 3.Are there concerns about responsible medication use over time? 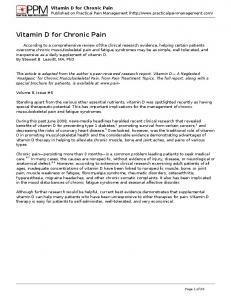 AAPM, American Academy of Pain Medicine; APS, American Pain Society; COT, chronic opioid therapy. Chou R, et al. J Pain. 2009;10(2):113-130; Fine PG, Portenoy RK. A Clinical Guide to Opioid Analgesia. New York, NY: Vendome Group; 2007. • Consider office-based screening tools (eg, ORT, SOAPP-R) • Structure monitoring based on ongoing risk stratification ORT, Opioid Risk Tool; SOAPP-R, Screener and Opioid Assessment for Patients with Pain-Revised. Boscarino JA, et al. J Addict Dis. 2011;30(3):185-194; Butler SF, et al. J Addict Med. 2009;3(2):66-73; Chou R, et al. J Pain. 2009;10(2):113-130; Gourlay DL, et al. Pain Med. 2005;6(2):107-112; Turk DC, et al. Clin J Pain. 2008;24(6):497-508; Webster LR, Webster RM. Pain Med. 2005;6(6):432-442. Does his positive smoking status change your risk stratification? ADD, attention-deficit disorder; OCD, obsessive-compulsive disorder. Webster LR, Webster RM. Pain Med. 2005;6(6):432-442. 4. I will not seek opioid medications from another physician. Regular follow-up care is required and only my provider will prescribe these medications for me at scheduled appointments. Disposal 9. I agree to periodic unscheduled drug screens. 11. I understand that if I fail to meet these requirements, my medications may be discontinued. The Management of Opioid Therapy for Chronic Pain Working Group. VA/DOD Clinical Practice Guideline for Management of Opioid Therapy for Chronic Pain. Washington, DC: Department of Veterans Affairs, Department of Defense; 2010. US FDA. Disposal of Unused Medicines: What You Should Know. Available at http://www.fda.gov/Drugs/ResourcesForYou/Consumers/BuyingUsingMedicineSafely/EnsuringSafeUseofMedicine/ SafeDisposalofMedicines/ucm186187.htm. Accessed July 25, 2014. • Objectively analyze adherence to therapeutic plan • Help diagnose substance misuse, abuse, and addiction • Identify patients who may be diverting medications • Meet expectations of medical boards and regulatory agencies The District of Columbia program is not yet operational. Data from the National Alliance for Model State Drug Laws as of June 2014; http://www.namsdl.org/library/8DB6720C-91EE-8472-E365F7818C02C8B5/. Accessed August 15, 2014. – Verify immunoassay with GC/MS or LC/MS GC, gas chromatography; LC, liquid chromatography; MS, mass spectrometry; OTC, over-the-counter. Wolff K, et al. Addiction. 1999;94(9):1279-1298. Fine PG, Portenoy RK. A Clinical Guide to Opioid Analgesia. 2nd ed. New York, NY: Vendome Group, LLC; 2007.
are not universal for all opioids but depend on specific mechanisms of action and/or metabolic pathways. SSRI, selective serotonin reuptake inhibitor; SNRI, serotonin–norepinephrine reuptake inhibitor; TCA, tricyclic antidepressant. Fine PG, Portenoy RK. A Clinical Guide to Opioid Analgesia. Vendrome Group: New York, NY; 2007. 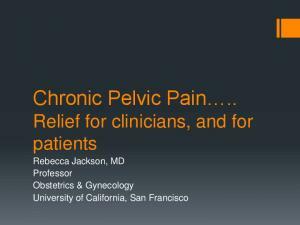 AAPM, American Academy of Pain Medicine; APS, American Pain Society. Chou R, et al. J Pain. 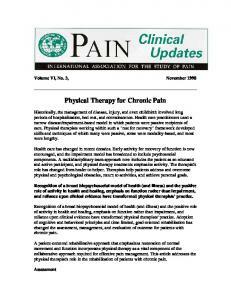 2009;10(2):113-130; The Management of Opioid Therapy for Chronic Pain Working Group. 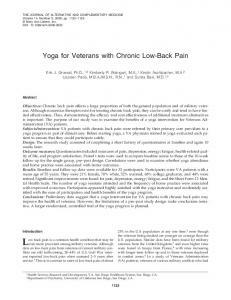 VA/DOD Clinical Practice Guideline for Management of Opioid Therapy for Chronic Pain. Washington, DC: Department of Veterans Affairs, Department of Defense; 2010; Washington State Agency Medical Directors’ Group. Interagency Guideline on Opioid Dosing for Chronic Non-cancer Pain: An Educational Aid to Improve Care and Safety with Opioid Treatment. Olympia, WA: Washington State Department of Labor and Industries; 2010. 4. Demonstration of reduced abuse – eg, postmarketing data on product use and misuse US FDA. Draft guidance released January 2013. See: www.fda.gov/downloads/Drugs/GuidanceComplianceRegulatoryInformation/Guidances/UCM334743.pdf. IR, immediate-release; OROS, osmotic controlled release oral delivery system. Jamison RN, et al. Pain Res Treat. 2011;2011:941808; Moorman-Li R, et al. P T. 2012;37(7):412-418; Schaeffer T. J Med Toxicol. 2012;8(4):400-407. N=140,496 individuals examined in US substance abuse treatment centers assessed using the Addiction Severity Index Multimedia Version. aPercentages do not add up to 100% because some respondents reported multiple routes of administration. ROA, route of administration. Butler SF, et al. J Pain. 2013;14(4):351-358. 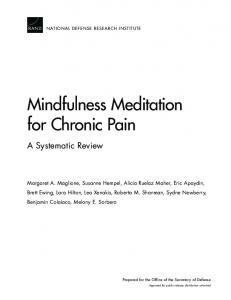 Report "CARING FOR PATIENTS WITH CHRONIC PAIN"